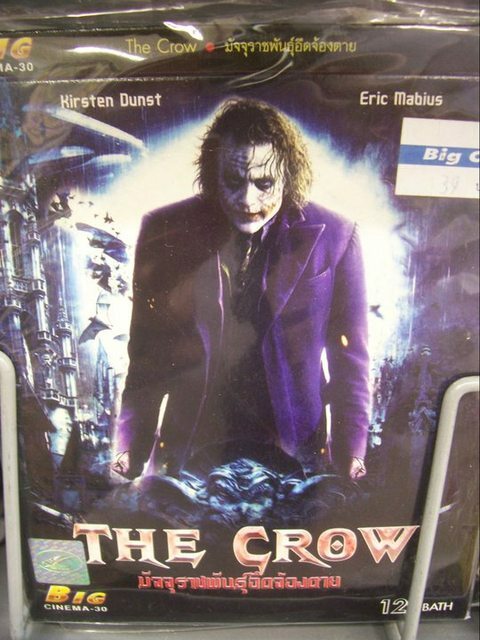 Perhaps sensing that the world needs a good guffaw or two after weeks of grim headlines, considerate Imgur user zhuzu20 has helpfully compiled a brief but satisfying gallery of awkwardly and inaccurately translated bootleg DVD covers. These images, many plucked from a long-dormant site called Knocking Off, show the problems which can arise when carefully-marketed Hollywood blockbusters are hastily and inexpertly transposed from one language to another and then resold on the black market by those whose motivations may not be artistically pure. Heath Ledger becomes either Kirsten Dunst or Eric Mabius. Drew Barrymore’s famous surname is cleaved in twain. 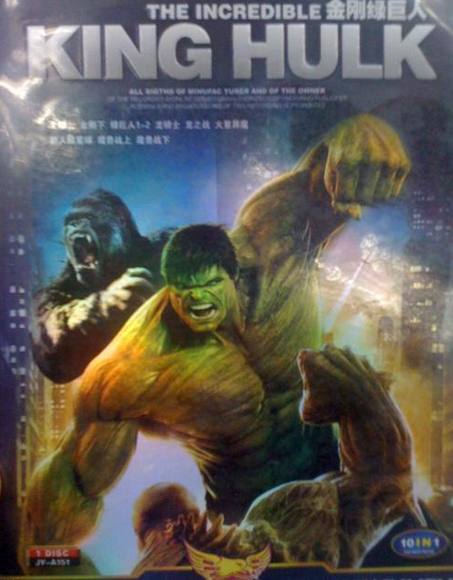 King Kong and The Incredible Hulk somehow become the same, awesome-looking movie. 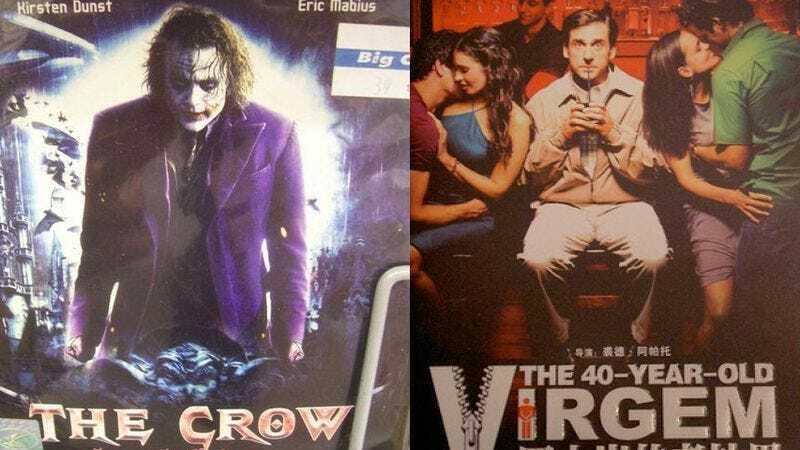 Laughable as they may seem, these bootleg DVDs offer a gateway to a strangely inviting parallel universe with its own familiar-yet-unfamiliar entertainment options. Who wouldn’t want to curl up on the couch some chilly winter’s eve and watch The 40-Year-Old Virgem or The Loin King II: Simba’s Pride?